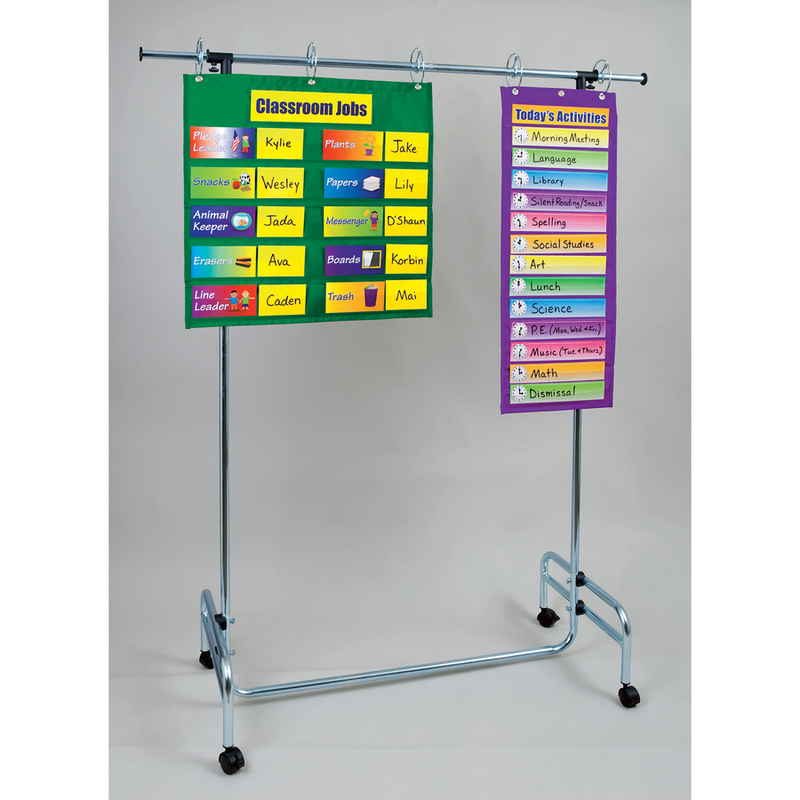 Pocket Chart Stand adjusts from 48" to 78" high and from 42" to 77" wide. Use it for multiple pocket charts and chart tablets or extra-wide pocket charts. 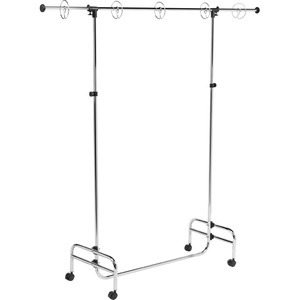 Chart stand comes with locking casters and five movable rings.